So excited about the 2018 Kids’ Night on Broadway! At this annual event kids 18 and under can attend participating Broadway shows for free when accompanied by a full-paying adult (all guests must have a ticket to attend shows; offer is applied as 50% off each ticket; no additional ‘free’ tickets are added to orders). A Kids’ Night on Broadway ticket also includes restaurant discounts, parking discounts, and more. Select shows will offer in-theatre activities for kids including talkbacks, Kids’ Night on Broadway activity books, and other events still to be announced. 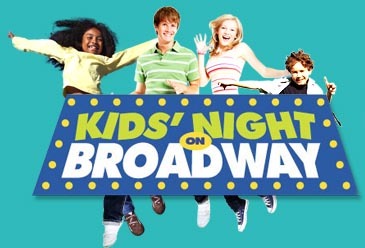 Check out KidsNightonBroadway.comfor specific dates and locations.